Recently, we’ve had numerous opportunities and customers who needed to migrate multiple HubSpot platforms into one streamlined marketing hub. These companies are acquiring other organizations or products, and often these acquisitions come with their own software and processes in place, such as marketing automation. Sometimes, it may even be two divisions of the same company, each with different marketing teams, who want to consolidate. In an effort to reduce costs and gain efficiency, these businesses are making the strategic decision to consolidate their platforms so their marketers, marketing operations and sales teams can leverage a single, trusted platform. Does this sound familiar? One universal marketing automation platform can save your team a great deal of operational time and energy, in addition to providing unified data for more accurate reporting, but the undertaking does come with a set of considerations. Before you jump in and combine your assets, there's a lot to take into consideration. Here are six of our recommended considerations for your journey toward a singular, streamlined HubSpot portal. 1. Does platform consolidation meet, or influence, business goals? Before you decide to consolidate two or more HubSpot platforms into one, you first need to think about the desired end result. Consolidation should be in the best interest of the business and align with your goals. You'll also want to figure out how to treat leads as they come through the funnel. In doing so, you can figure out how a single HubSpot portal would accomplish these goals. What are your goals in executing your marketing with HubSpot? 2. How much time are you allotting for the consolidation? Theoretically, combining your HubSpot platforms seems easy. In reality, it's tedious and requires teamwork, communication and digging to get processes and workflows functioning correctly. In other words, if you were thinking this would be a great project for your marketing team to tackle over the weekend, think again. A major task like consolidation shouldn't be treated as though you're lifting up one portal and moving it into another, but rather taking all portals and combining and condensing them together. Often, two portals are run differently, so the migration doesn't allow for just picking one up and putting it into the other. It's an "apples to oranges" kind of situation. With that being said, it's going to take a lot longer than you expect. A realistic, initial projection is around four months. 3. Who will be leading and supporting the consolidation? By now, you understand that condensing and combining your HubSpot platforms is an epic feat. To battle this task you need you to have an epic team in place. In short, this isn't a project that should be put on your team with the anticipation that its members will still be able to execute on their full-time day jobs. Instead, you should either outsource or create a consolidation team dedicated to the task. Consolidating platforms takes a skill set more aligned with a product manager/marketing-operations architect vs. a product/brand marketing coordinator, even if you're coordinators are rock stars. In addition, if you have a CRM integrated with your HubSpot platforms, you'll need to assemble a team led by your CRM administrator to consolidate on his or her end. Both your HubSpot and CRM teams will work closely together to ensure your sales process is executed properly. It's a dual effort and success relies on collaboration and communication. 4. What third-party applications are integrated with HubSpot, including a CRM? If you have a CRM integrated with your HubSpot platforms, it also needs to be consolidated. You should not only pull together a dedicated team, but also complete this prior to the HubSpot migration. 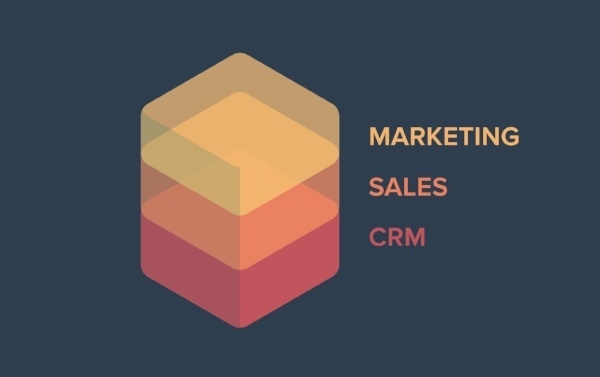 The CRM is the means by which the HubSpot team will test whether portal migration is working, and if that process doesn't work it can be resolved sooner. 5. Do you understand the processes and workflows set up? Next, you must work to understand which of these should get carried over and which shouldn't. Think about which workflows are active, what emails are being sent and what forms are being submitted. This will help you understand what's old and gets left behind, and also how you can make processes simpler and more efficient. 6. Are you willing to compromise or do things differently? While consolidating HubSpot platforms is a tremendous undertaking, it's also an incredible opportunity few companies experience. First, understand that not everything is going to get carried over and in some ways, you're starting from scratch. You must be open to this and willing to do things differently while identifying areas for improvement. Here's an example: If you have completely different lead-scoring criteria or contact properties in the other portal, you will need to identify what solution you're going to stick to. And like everything else in the consolidation process, it takes a lot of time to choose which contact properties, lead scoring, routing and workflows to keep and which to throw away. This is your chance to find more effective and efficient ways for your company to execute its marketing processes and move prospects through the sales process. Be open to new and better ways to do the same things. The tools at your disposal continue to advance. As a result, it takes more advanced thinking to execute them effectively. Take the time, invest the resources, and be open.